A shark thought to be a record breaker was caught in the Stellwagen Bank National Marine Sanctuary, north of Cape Cod, this past week. A 624 pound, 10 foot, male mako shark was caught by line by a 20 year old fisherman who was out tuna fishing with a family. The shark is believed to be the largest male mako shark ever caught. 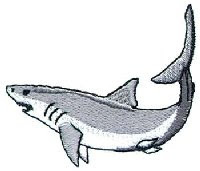 A 1200 pound female mako was caught in 2001. Read the details in the Boston Globe...Here. Tropical Depression Danny (formerly Tropical Storm Danny) is a victim of the times. Although his projected path will brush the Outer Cape, the current peak wind strength will be in the mid-40's (mph). T.D.Danny could never pull himself together, so when crowded by a storm from the west, he simply fell apart. Catch the whole story at http://www.weather.com/. If this storm didn't have a name, it would be no more interesting than a 'standard-issue' Nor-easter. Even so - today will be a bust. The rain has been falling steady, and heavy at times, since late last night. The winds should peak at roughly 2 AM tonight. The waves should be impressive. A great day to show real estate (ugh!). I'm constantly fascinated in the architectural style known as Cape Cod Modern. Scattered here and there in Wellfleet, Truro, P-Town, and Eastham are numerous cottages that seem straight out of the Jetson's cartoon show. They have angled flat roofs, huge glass panels, and seem to float just above ground level. This past Sunday, the Boston Globe had an article on these homes, highlighting an upcoming modern home tour. The article mentioned the Hidden Village cottage colony on Eastham's Bridge Rd. There are 6 cottages in this colony, built in 1960. The photo, above, is one of those cottages. 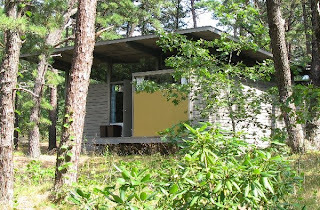 The New York Times also ran an article, today, on Cape Cod Modern, featuring homes in Wellfleet. The story highlighted the restoration of several of these homes that had fallen into disrepair. 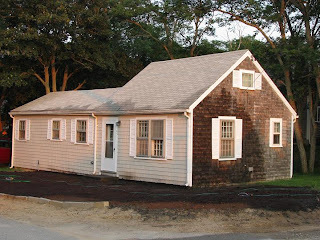 EASTHAM - NEW LISTING - The location of this classic Cape cottage is just to good to pass up! This 2 bedroom gem sits just a few hundred feet from Kingsbury Beach. The current owners have just completed a major update of this cottage, with a new kitchen, new bathroom, new furnace, and new insulation. They have just painted & re-landscaped the property, too! Check out the photos of the new kitchen, etc, on my website. Come take a look! Priced at $472,000. Very few subjects are as much fun to think about as sunken treasure. 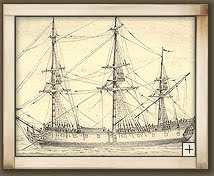 The Whydah is a storied pirate ship ship that sank off the coast of Cape Cod in 1717 carrying a vast load of treasure. The ship was discovered only about 25 years ago and the treasure has been slowly recovered. Read about the most recent recovery in a recent Cape Cod Times article. Want to have some fun and learn alot more about the Whydah? The Field Museum in Chicago has a significant Whydah exhibit. And a fun website. Can the end possibly be in sight? 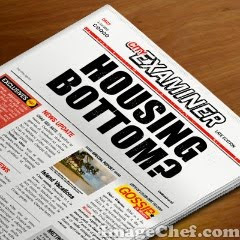 Have we passed the housing bottom? The Standard & Poor's composite indexes show housing price increases for both May and June, bringing the 2Q09 prices 2.9 percent higher than in the first quarter. This hasn't happened since the housing crisis began, some say three years ago. CNBC - Housing Rebound Looks Good, But Will It Last? Two observations ... First - picking bottoms will be very unsatisfying. When it comes to buying a home, being close to the bottom is good enough. Second - with mortgage rates near historic lows and home prices lower, Now is the time to buy on Cape Cod. Back in August 1986 Hurricane Charley was rushing up the Atlantic coast and threatened Cape Cod. It wasn't much of a hurricane, but it caused a few fatalities in Virginia and North Carolina. Anyway, my family was camping at Maurices Campground in Wellfleet, in a tent trailer. The news showed that the storm was going to miss the Cape, but we would still get winds in excess of 55 mph and lots of rain overnight. We were concerned about the winds its effect on all the trees that we were camping under. We were vacationing with another family, so we rented one of Maurice's cabins and set up the 'women & children' in a cabin for the night. Luckily the storm didn't amount to much; just some rain and stiff breezes. Unscathed. The storm, however, was key to our decision to rent homes, in Eastham, when we vacationed on Cape Cod instead of camping. Below is a photo I took the 'morning after'. The lighting was still that strange purple and the waves were impressive. Enjoy! The passage of Hurricane Bill was pretty much a non-event on the Outer Cape, with the exception of the heavy wave action on the ocean beaches. The winds and rain didn't materialize as predicted, leaving us with a fairly nice Sunday, but with the ocean beaches closed to swimmers. That didn't stop the masses from going to the beach, however. The 'show', the high waves, was well attended. There were hundreds of folks on the beach watching the action. 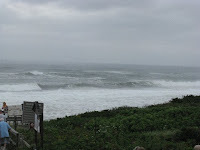 On another front, the Oldtimers Longboard Classic, scheduled for this afternoon in Wellfleet was cancelled. Probably a good decision. The waves were in the (my guess) 10 foot range and very disorganized. The biggest and best weekend in Eastham is the weekend after Labor Day, known here as Windmill Weekend. The town puts on a party with lots of events and it's always fun for the whole family. The 32nd annual Windmill Weekend includes an art show, a craft show, a car show, sand 'art' at First Encounter Beach (my favorite), concerts, a clam chowder contest, tricycle race (for the kids), a parade, 5 mile and 2 mile runs, and much more. Go to the Windmill Weekend website for more information. This year's theme is "By The Sea, By the Beautiful Sea". Come - join the fun! Get ready! Hurricane Bill is coming our way and should be here (sorta) Sunday. It currently looks like the eye of the storm will be sufficiently off-shore to provide us with winds only in the 30-40 mph range, where the peak winds, at the eye wall, will be roughly 100 mph . The surf should be between 15 and 20 feet. We'll need to batten down the deck furniture and secure our small boats. It would also be good to take in a supply of drinking water in case the power goes out (somewhat unlikely for the projected winds). Very important - stay a safe distance from the surf with it's rip currents. But, it should be a good show. As the storm progresses, check the Weather Channel or NECN for updates. 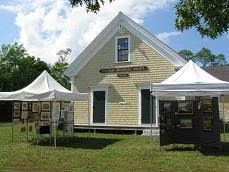 Scattered among the dunes in the Peaked Hill Bars Historic District spanning Truro and Provincetown are 19 dune shacks. These are small (dare I say 'tiny'?) dwellings that province basic protection from the elements, but not much more. These have historically been the place of solitude and creativity for artists and writers, who rent them by the week. You'll need to be ready to bring in everything you'll need for your stay. Water is available via hand-pumps. Toilet facilities are composting out-houses. Getting to the shacks is a considerable hike, over soft sand. Plan on going on a cooler day and bring plenty of water. There is limited parking where Snail Rd turns off Route 6, then hike toward the Atlantic. There is a vague trail that will lead you past a few of the cottages. I took the photo during my last hike there. Also, there is an article (with photos) in the Cape Codder online edition that is a good read. Lead Paint Testing - So Simple! It's been long known that the ingestion of lead, particularly by young children, can be very damaging to brain function. Lead paint was commonly used both inside and outside homes up until 1978. After 1978 it became illegal to sell lead-based paint in Massachusetts. Here is the description of the Massachusetts Childhood Lead Poisoning Prevention Program. At property transfer, the home seller must disclose what they know about the presence of lead paint within the home. Unfortunately, the homeowner generally has limited, or no, knowledge of lead paint in the house. In that case, if the buyer or the buyer's lender needs to know about the existence of lead paint in a home, then lead paint testing is the only way. One of my clients recently needed to do this. 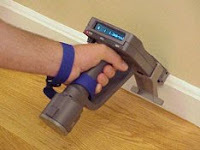 The testing is accomplished by hiring a licensed lead paint tester, who brings with him a 'gun' that fires cobalt-57 at the test surface and measures the reflection. This unit is a XRF spectrum analyzing system, known as a LPA-1 Lead Paint Analyzer. This gun is fairly small and is simple to operate. Each paint sample can be analyzed in a few seconds. A large home can be tested in just over an hour. Antique homes will take longer. For my client, the test revealed that the home contained no lead paint. Yeah! Does he/she have a Blog? Is he comfortable with technology? Is this his full-time job? My September 2009 Newsletter Is Available Now! Every once in a while a 'new' debate occurs that just seems wrong. 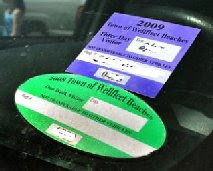 This year the controversy is about Wellfleet's beach stickers. It seems there is a little known, and unenforced, regulation that you may have only one beach sticker on your car's windshield. The purpose is simply to help the parking attendants quickly determine whether a vehicle has a current beach sticker. By removing all past year's stickers the process becomes much simpler. The rule has been unenforced - until this year. The town has been handing out $50 fines to drivers who haven't removed their old stickers. The problem? It seems that old stickers have become a 'badge of honor' among beach goers. My cars (I live in Eastham) have stickers going back to 2000. Although maybe a bit silly, I wear my stickers proudly. 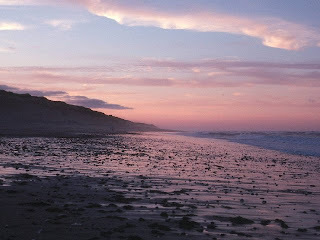 Read the article in the Boston Globe that makes out Wellfleet as 'unfriendly' and mean-spirited. It really isn't. I was interviewed for a radio program on NPR radio, broadcast on August 14th. Go to WBUR.org to read the transcript and listen to the radio show. The radio show discussed the current slow Cape real estate marketplace and how now may be the ideal time to buy that 2nd home on the Outer Cape. One of my clients, Mark Andrade, also contributed. New Listing - An Eastham Bed & Breakfast Beauty! This charming Circa 1876 lady has been lovingly renovated in 1998 by the current Owner. Currently run as a Bed & Breakfast but would also make a wonderful family home. This property offers 4 bedrooms, 4 full bathrooms, a spacious country kitchen, walk-in pantry and a sunny sitting room. The light filled walkout full basement is perfect for that in-home business. There is also a 3rd floor attic. Deeded Rights and a path to Great Pond. Really a wonderful property with numerous possibilities. Listed at $750K. Look here for more information and more photos. This is a RE/MAX Classic listing - let me be your Buyer's agent. 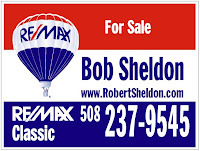 Call me (at 508-237-9545) to request a showing. Need a Cape fix? How about a webcam that points out at the Bay? This webcam lives in a waterfront house between Cooks Brook Beach and Sunken Meadow Beach in Eastham. Nice view! Try looking at sunset - currently about 8 PM. Here's another HGTV FrontDoor article on pricing your home to sell, especially in this slower market. This article stresses the 'process' of deciding what the 'right' price should be. The most important point, in Eastham and on the Outer Cape, is to think like a buyer. Since very few buyers really have to buy, they look at the home selection process more as a competition. Read the article ... Here. Eastham's July Sales - Improved! Is it the beginning of a turn-around? The number of sales in July improved to double-digits (just barely) to 10. The average sale price was roughly $420K, up from June's $353K. The sales ranged from a ranch in need to lots of TLC at $190K to a pondfront beauty at $1.2M. Unfortunately, the real story is not in the details, but in the aggregate and the medians. Year-to-date 2009 has had 40 sales, vs 55 for 2008 (down 27%), the median sales price is $353K vs $450K for 2008 (down 22%). The truth behind the numbers is that the market is so strangely skewed toward the low end that none of these numbers have any significant meaning. Yet. Interested in more information? Subscribe to my newsletter for more details, more commentary, and 'other stuff'.